This book questions what the evidence tells us about how best to select those most suited to a career in healthcare, ensuring that the approaches used are relevant and fair to all who apply. The editors take a comprehensive look at the latest research relating to recruitment and selection into healthcare roles. Evidence from role analysis studies as well as the effectiveness of different selection methods including aptitude and situational judgment tests, personality assessment and interviews are examined. Last year ‘fake news’ was the phrase on everybody’s lips, but just how susceptible are we to its influence, how does it spread, and what are best ways of limiting its impact on us as individuals and as a society? These questions were addressed in this ESRC social science festival event by City’s Saoirse Connor Desai and Dr Andreas Kappes as well as Jens Koed Madsen from the University of Oxford. Check out the videos for the event on Youtube here, here, here, and here. Dr Stian Reimers gave a keynote speech at the Finance@Google event held at Google’s Dublin headquarters. He spoke to an audience of 350 financial sector marketers from across Europe, Africa and the Middle East, about how understanding the way in which people think about money can help improve the consumer experience. Check out the full information at the Finance at Google website. Dr Jessica Jones-Nielsen, Dr Fran Smith, Dr Julianna Challenor and Dr Trudi Edginton were awarded a BPS Division of Counselling Psychology (DCoP) small research grant (£9,997,55.) for their project entitled, “A Randomised Controlled Trial of Acceptance and Commitment Therapy and Mindfulness-Based Stress Reduction Groups for University Students: A Pilot Study”. 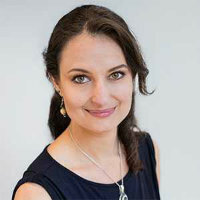 Lucia Macchia, was awarded £4,961 from the Industry Engagement Fund of the ESRC Southeast Network for Social Science (SeNSS) to conduct research on employee rewards and employee well-being in collaboration with researchers from Harvard University. Lucia is a PhD student in the psychology department. She is writing her dissertation on subjective well-being in Latin America under the supervision of Dr Anke Plagnol. The Royal Navy have provided an extension of £9999 to Dr Jutta Tobias Mortlock and City University’s Organisational Psychology team to fund field research linking mindfulness with resilience and attainment across multiple Royal Navy/Royal Marines training sites. In particular, we will explore mindfulness-related factors in their potential impact on performance-related outcomes for Royal Marine Commando Trainees at the Commando Training Centre Royal Marines (CTCRM) in Lympstone; for senior Royal Navy Officers training to become Submarine Commanding Officers at HMNB CLYDE in Faslane; and for Royal Navy Officers training to become Principal Warfare Officers at HMS COLLINGWOOD in Fareham. Congratulations to Prof Dermot Bowler for joining the editorial board of the Journal of Abnormal Psychology. The Journal of Abnormal Psychology is the foremost journal in its field, publishing articles on basic research and theory in the broad field of psychopathology and other abnormal behaviours, their determinants, and correlates (Impact factor 4.642; 5-year impact factor 6.127). Dr. Beatriz Calvo-Merino has received the Alexander Gottlieb Baumgarten Award of the International Association of Empirical Aesthetics (IAEA) for her outstanding contributions to the field of empirical aesthetics in her research on psychology and the arts and, especially, on neuroaesthetics. She gave a keynote talk and collected her award in the annual IAEA meeting in Toronto, Canada. Professor Emmanuel Pothos received £115,613 for 36 months, from the Office of Naval Research Global (ONRG), to study “Anticipating decisions and Bell’s bound.” The project will be conducted collaboratively with P. Blasiak, & B. W. Wojciechowski. Exciting new book The Career Coaching Toolkit (Routledge) by Dr Julia Yates. “Researchers have developed some interesting new techniques which have been shown to help people with their career planning, but, as we know, academic articles aren't always very easy for practitioners to access or understand. In this book I have brought together 40 different, evidence-based career coaching tools, drawn from counselling, coaching and career guidance, and I offer both a summary of the theories which underpin the techniques, and some suggestions of how career coaches can incorporate the tools into their practice”. Read about it on the City news page or the British Psychological Society website. The Center for Opens Science (COS) set out to improve research practices in science in general and psychology in particular. One important part of better research practices is to encourage scientists to pre-register their studies: to commit to a specific plan before gathering the data. To encourage such pre-registrations, COS decided to reward the first 1000 published studies that preregistered their research and analysis plan with $1000. Andreas Kappes preregistered his research on vicarious optimism, published in Psychological Science earlier this year and just received the preregistration challenge prize for this paper. Uncertainty is the ally of selfishness, most psychology studies show. For instance, people donate less to charity when they aren’t sure their donation will reach its target, and companies skirt safety regulations when it’s not certain doing so will harm employees. Uncertainty, psychologists say, provides cover for people to behave selfishly without feeling fully responsible. However, researchers at City, University of London, Yale, and University of Oxford have found an exception, they report in the journal Nature Human Behaviour. Their findings show that people tend to act with more generosity when they are uncertain about the impact of their actions on others. In divvying up experimental spoils, for example, subjects tend to be more generous when they are made uncertain whether or not the other party is poor and will suffer because of their decision. The researchers speculate that in this case uncertainty works by activating narratives that focus on harm, leading people to adopt behaviours that preserve others’ welfare. Dr. Lara Zibarras was interviewed about her current research project (using psychometric methods of assessment in loan underwriting) for the Economist. The article explored how mobile financial services are becoming more ubiquitous, which is great news for people who may be otherwise excluded from financial institutions. The full article can be found here. 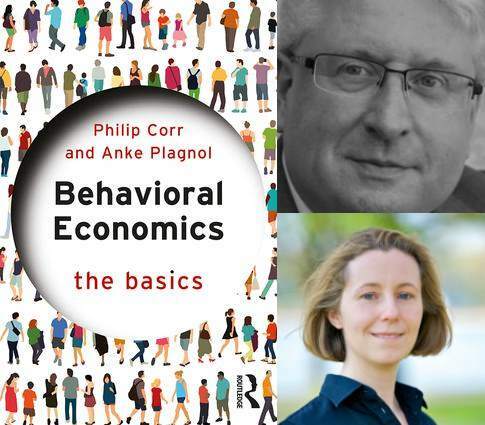 Philip Corr and Anke Plagnol published a book on behavioural economics for students and anyone looking for an accessible introduction to the topic. It aims to provide a rigorous yet accessible overview of the growing field that attempts to uncover the psychological processes which mediate all the economic judgements and decisions we make. Excellent invited lecture delivered by our former student Irena Arslanova! Irena Arslanova gave an invited lecture on the findings of her final year undergraduate research project at the Experimental Psychology Society (EPS) meeting in Leicester (18-19th of April 2018) following which she was presented with the EPS/British Science Association Undergraduate Project Award. Irena project was supervised by Prof. Tina Forster (Cognitive Neuroscience Research Unit, CNRU). Irena completed her BSc Psychology in 2017, and she is now a PhD student at UCL! Congratulations Irena and good luck on your scientific career! Prof James Hampton won the Research Supervisor Award! Prof James Hampton was awarded the Research Supervisor of the Year at the Academic Impact Awards run by the Student's Union and the Learning Enhancement & Development (LEaD). These are very special awards where students nominate those members of the faculty whose supervision they especially enjoyed. Very well deserved James! Congratulations! Dr Andreas Kappes won the Teaching Excellence Award! Every year, the Student's Union and the Learning Enhancement & Development (LEaD) team awards celebrate people from the University, people who contributed to the flourishing of the students at City. Importantly, the people are nominated by the students, so that students can highlight the people that they felt help them along the way. One of the categories is the Teaching Excellence Award: students nominate those members of the faculty whose teaching they especially enjoyed. This year, we are happy to announce that in this category for SASS, Andreas Kappes (lecturer in Psychology) won. Andreas was naturally very happy about the award, and is especially grateful to the students who came and enjoyed his lectures. Congratulations Andreas! Amanda Roestorf, PhD candidate in the Autism Research Group working with Prof Dermot Bowler was invited to present her work on Prospective Memory and Ageing in Autism Spectrum Disorder (ASD), at the 5th International Conference of Prospective Memory (ICPM5) in January 2018. The conference was hosted at the Australian Catholic University in Melbourne Australia. Amanda's research showcased a series of studies with a group of younger and older autistic adults and typically ageing adults, in lab-based and naturalistic settings. Her work highlighted the importance of prospective memory in everyday functioning, and the potential impacts for health-related quality of life in ASD. Amanda presented also other aspects of her PhD research at the 17th International Society for Autism Research (INSAR) Annual Meeting (Rotterdam, The Netherlands, May 2018). The first two presentations in the overall INSAR programme, were in symposia on "Well-being and Quality of Life" in which Amanda presented findings from her longitudinal research on ageing in ASD; and "Diagnostic Outcomes" where she presented findings about the utility of self-reported and observer-rated diagnostic measures from collaborative work with colleague Dr. Sebastian Gaigg from the Autism Research Group and Professor David Williams from the University of Kent. Amanda's third, invited presentation, was in a Special Interest Group (SIG) meeting on Memory in ASD, hosted by Professor Marjorie Solomon from UC Davis MIND Institute, California USA, and co-leader Dr Melanie Ring, a former PhD student at the Autism Research Group, who now works at the Technische Universiät, Dresden Germany. In this SIG, Amanda outlined the profile of strengths and differences in memory of autistic adults across the lifespan and the potential consequences for the wellbeing of autistic adults. Third year undergraduate student Isla Jones has won an all expenses paid place on a competitive undergraduate summer school at the Centre for Vision Research at York University, Toronto, Canada. This prestigious programme encourages learning through hands-on experience using techniques such as fMRI and TMS, as well as exposure to leading vision research through talks given by experts in the field. Isla hopes to go on to study for a PhD in neuroscience in the future. Well done Isla! Irena Arslanova has been awarded the Undergraduate Project Prize by the Experimental Psychology Society in collaboration with the British Science Association for the best final year undergraduate project in experimental psychology submitted from a UK psychology honours degree programme. Irena’s research project work was supervised by Professor Tina Forster in the Cognitive Neuroscience Research Unit. Kielan Yarrow has been appointed an Associate Editor of Perception Science (speciality section of Frontiers in Psychology and Frontiers in Neuroscience). Congratulations to Dr Trudi Edginton, who has obtained an ESRC grant (as co-applicant) with Alastair Smith (PI, University of Plymouth), Catherine Loveday (University of Westminster) and Hugo Spiers (UCL) for £357,000, entitled 'Understanding and assisting difficulties with everyday spatial navigation'. This 3 year project will explore spatial navigation difficulties and targeted interventions in adults with hydrocephalus with a worth of £10,823 for City, University of London. 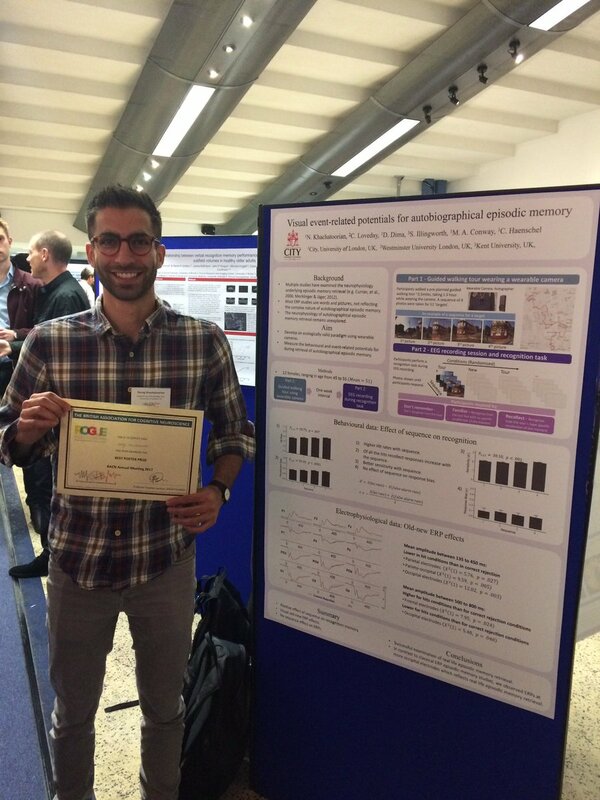 Congratulations to our PhD student Nareg Khachatoorian who was awarded Best Poster presentation at the British Association of Cognitive Neuroscience in Plymouth this month. He presented his work with Dr Corinna Haenschel, Prof Martin Conway, Dr Danai Dima (City, University of London), and Catherine Loveday (Westminster University) entitled “Visual event-related potential for autobiographical episodic memory”. Well done Nareg! The paper ‘On the origin of utility, weighting, and discounting functions: How they get their shapes and how to change their shapes‘ co-authored by Neil Stewart (University of Warwick), Stian Reimers (City, University of London) and Adam Harris (UCL) published 2015 in Management Science has received the Decision Analysis Publication Award. The INFORMS Decision Analysis Society Publication Award is given annually to the best decision analysis journal article or book published in the second preceding calendar year. Congratulations, Stian and colleagues! The paper presents a new theoretical account of the origin of the shapes of utility, probability weighting, and temporal discounting functions. The authors show that there is no stable mapping between attribute values and their subjective equivalents as assumed by expected and discounted utility theories and explain where the shape of the mapping comes from, and why it depends on gains, losses and risks in the environment. Full reference: Stewart, N., Reimers, S., Harris, A. J. L. (2015). On the origin of utility, weighting, and discounting functions: How they get their shapes and how to change their shapes. Management Science, 61, 687-705. Professor Philip Corr is the Founding Editor-in-Chief of a new journal, Personality Neuroscience, published by Cambridge University Press. 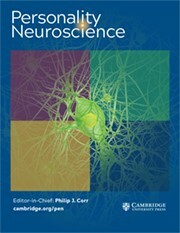 This is the first journal dedicated to the field of the neuroscience of personality, which is the study of how variation in neurobiological mechanisms underpins individual differences in behaviour, motivation, emotion, and cognition, and how these differences relate to important life outcomes (e.g., psychological health). Personality Neuroscience is poised to deal with this increasingly important scientific field more effectively because it focuses on personality as much as it focuses on neuroscience. It aims to be the leading outlet for high quality and impactful papers in the field. Prof Dermot Bowler and PhD student Amanda Roestorf (Autism Research Group, ARG) lead a panel on “Quality of Life in Older Adults with Autism Spectrum Disorder” in the annual International Meeting for Autism Research (IMFAR) in San Francisco. This work was very well received by clinicians, service providers, researchers and trainees who work with older autistic adults. You can read the Forbes articles about it here. Prof Dermot Bowler and student Amanda Roestorf (Autism Research Group, ARG) hosted at City “Ageing and Autism Spectrum Disorder: Life course changes, well-being and service needs in later life”. A one day seminar bridging perspectives from an autistic adult, a parent, researchers and support services. The day was attended by autistic adults, practitioners and health care services, speech and language therapists, researchers and charitable organisations. You can read about it on the City news page. Professor Philip Corr gave the Presidential Address (talk entitled “Personality matters in replicable psychology”) at the International Society for the Study of Individual Differences (ISSID) conference, 24-28th July, Warsaw, Poland. Dr Kerry Manera, a recently qualified Counselling DPsych student who was supervised by Fran Smith, was recently awarded the Student Practitioner award for her presentation of her research at the ‘International Meaning Conference’ at Roehampton University. Congratulations for Dr. Lara Zibarras for securing a fully-funded 3-year PhD position beginning October 2017 (funding amount £66,000) from Oakam. The aim of this research is to develop a psychometric measure of “trustworthiness” to assess the likelihood that people will pay back loans. The ultimate aim of the psychometric measure is to diminish the dependency on the human underwriter, to apply the model in a large scale, particularly digital format. The Centre for Psychological Well-Being and Neuroscience hosted a CPD event for professionals on Acceptance and Commitment Training (ACT) in the Workplace. The day included presentations and seminars on using ACT to improve employee's psychological health and resilience. Congratulations to our PhD student Ramiro Joly-Mascheroni (Cognitive Neuroscience Research Unit, Psychology Department) for winning the City Research and Enterprise Competition on Wednesday. Ramiro was awarded £15,000 to develop the applications of his PhD research work on human-robotic interactions and blind individuals. Many congratulations also to Ramiro’s supervisors Dr. Beatriz Calvo-Merino and Prof. Tina Forster. Further details are available in the main City news article. The Psychology Department is launching a new Joint-PhD programme in “Psychology and Social Neuroscience” between City, University of London and La Sapienza, Rome, Italy. Dr. Beatriz Calvo-Merino and Dr. Sebastian Gaigg have been shortlisted for the President Awards “International Collaboration of the year” for their efforts in developing this new and exciting collaboration with La Sapienza. Warmest congratulations to Nicola Gale in Counselling Psychology, who is the new President of the British Psychological Society (BPS). Nicola notes that the Society's mission "has never been more relevant than in current times", announcing a focus upon inclusion, "investing in future generations and developing and disseminating the evidence base relevant to the complex human, social and environmental factors" related to public policy. Dr Danai Dima has received an honourable mention for the 2017 Gerald R. Klerman Award by the Brain & Behaviour Research Foundation (former NARSAD). The Annual Klerman Prize recognizes exceptional clinical research. Danai is awarded for her work in identifying resilience in Bipolar Disorder using a genomics imaging approach. The award ceremony will take place 28th of July, in New York. Professor Philip Corr gave an Invited Talk at the British Psychology Society (BPS) Annual Conference in Brighton entitled “Hans J. Eysenck: Research, Relevance and Reputation”. Dr Katy Tapper writes in The Independent about why we need to be wary of claims about mindful eating and weight loss. The comments were also covered in Paste magazine. Professor Martin Conway spoke about the many experiments that have been done to implant false memories into people’s brains on The Conversation’s Anthill podcast. Professor Conway also spoke to BBC Mundo about infant memories. Prof Dermot Bowler has been appointed Managing Guest Editor of a special issue of Research in Autism and Developmental Disorders (RASD) on 'Growing Older with Autism’ to appear in July 2018. 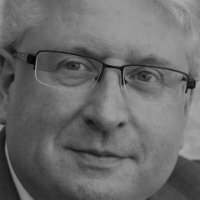 Prof Dermot Bowler has been invited to give a talk at the Fourth Annual Moscow Conference on Autism organised by the Russian Society for Autism. His talk is entitled Cognitive atypicalites underlying the development of autism spectrum disorder, time for a change in perspective? The Autism Research Group at City, University of London, is pleased to announce a series of free public events that will bring together practitioners, researchers, clinicians, policy makers and individuals from the autism community to discuss strategies for tackling some of the most pressing needs of autistic children and adults and the people who care for them. The first event was hosted on the 11th of April and considered issues related to Anxiety in Autism. Further details of the event can be found here. Elliot Freeman’s fascinating work on synaesthesia [Listen with your eyes: when you 'hear' a flashes light, Consciousness and Cognition, 2017] has been featured on the Guardian. Do you experience “hearing motion”? Take the test here. A mobile web app designed by Dr Stian Reimers for running quizzes in lectures has been shortlisted in the Teaching Excellence category of the Guardian University Awards. The app, Quodl, allows students to join in quizzes, get useful feedback on their performance, and engage in a little fun competition with their peers, as well as helping with learning and revision. Congratulations to Prof James Hampton, who together with Prof Yoad Winter (University of Utrecht) have been awarded a ERC Horizon 2020 Advanced Grant (2.5 M euros) entitled Forests and Trees: the Formal Semantics of Collective Categorization. Prof James Hampton and Prof Yoad Winter (University of Utrecht) have edited a book to be published later this year by Springer entitled “Compositionality and Concepts in Linguistics and Psychology”. 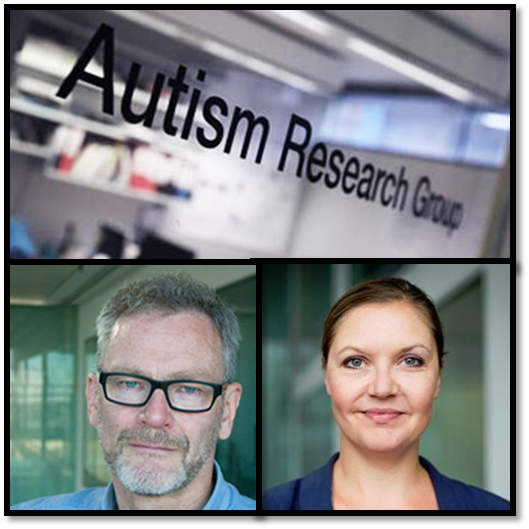 Prof Dermot Bowler has become a member of the Scientific Review Panel of Autistica, a UK charity specifically devoted to funding autism research. Congratulations to Dr Danai Dima, who has been promoted to Senior Lecturer. Dr Richard Cook was awarded a European Research Council ‘Starting Grant’ for 1.5M euros. The five-year project will use a range of psychophysical and brain imaging techniques to investigate the visual perception of social interactions in typical observers and those with autism spectrum disorder. Two of our MSc Behavioural Economics students, Rhea George and Gervase Poulden, were part of the winning team in a 'Nudgeathon' organised by Warwick University. The challenge of the Nudgeathon was to come up with ways to encourage Warwick students to waste less energy. Rhea and Gervase's winning proposal included ideas for using heat maps to highlight the heat loss from leaving windows open and radiators on, a design for visual reminders to jog people to remember their 'wallet, keys, phone, heat!' when leaving the room, and a system for rewarding students for energy savings with discounts on their university meal cards. Their ideas will now be implemented by Warwick university to help save energy on campus. Dr Paul Flaxman delivered a keynote address at the recent 'Well-Being in Schools' conference organised by Bristol City Council. Dr Stian Reimers has agreed to become Associate Editor of Behavior Research Methods. "My research focuses on the computational mechanisms guiding decision-making, and combines theoretical modelling with behavioural methodologies and psychophysiological techniques (fMRI). My recent work investigates the computational principles driving adaptation of choice and judgement to context (Rigoli et al., 2016, eLife; Rigoli et al., 2016, Nature Communications). Before starting at City, I was a post-doc at UCL with Ray Dolan, and did my PhD at the University of Siena (Italy) supervised by Giovanni Pezzulo." "I recently completed my PhD at the University of Kent looking at the application of mindfulness to social judgements such as attribution bias and group decision making. I am keen to extend this work to combine with other research interests including motivation, engagement and group dynamics at work. I am an avid Tweeter and cat lady, acting as a trustee at a cat rehoming charity outside of work!" 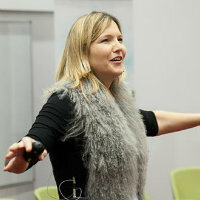 Julia has spent the last 6 years at the University of East London when she set up and ran their MSc in Career Coaching. Her research interests are occupational identities, the role of appearance in career, and the integration of careers and coaching psychology. Julia has worked as a practitioner in the career field for 20 years providing one to one career coaching to individuals, and training and consultancy to organisations. Neuroscience suggests that there are internal body representations in the brain that play a role in coding our own emotions and those we perceive in others. There is evidence that when we hold a smile, body and neural signals from the muscles involved in smiling send information to our perceptual system, so that others' faces are perceived as looking happier than they may actually be. Dr. Beatriz Calvo-Merino has been invited to join the Board of Directors of the International Association of Empirical Aesthetics (IAEA) . The International Association of Empirical Aesthetics (funded in 1965) is an organization of researchers who use scientific methods to investigate aesthetic experience and aesthetic behaviour in a wide variety of domains, including encounters with beauty, visual art, music, literature, film, theatre, philosophy, and museum behaviour. Neil Denny from Little Atoms talked to Dr Danai Dima, whose works is on display in the Utopian lab on visual illusions and schizophrenia. A recording of the live stream is available on the King's College London website. 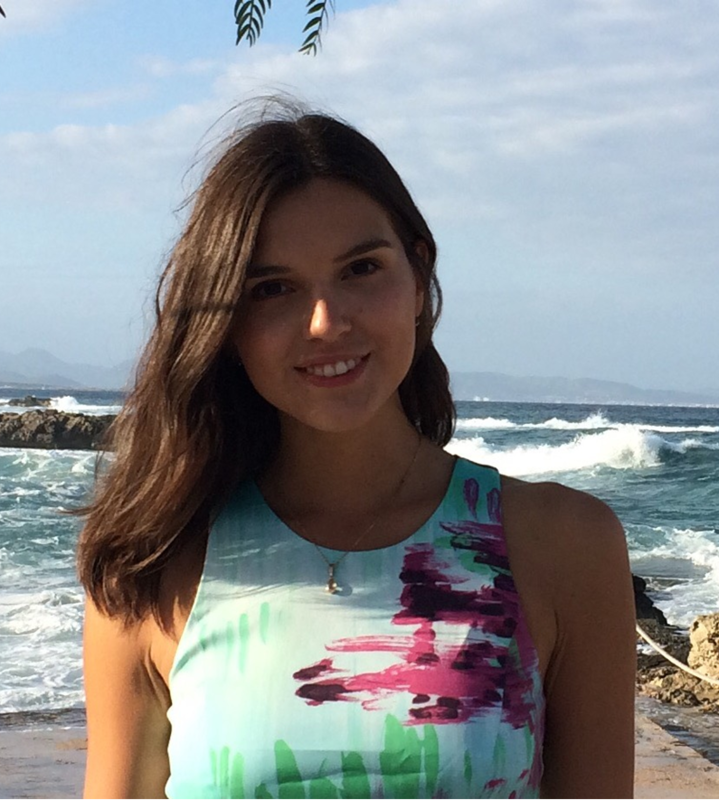 Irena Arslanova (2nd year BSc Psychology student) has won an Experimental Psychology Society vacation scholarship to conduct an EEG study on the embodiment of emotion regulation under the supervision of Prof. Tina Forster. Dr Stian Reimers recently appeared on the BBC Radio 4 series The Human Zoo, discussing attribute substitution and the way in which we misjudge the performance of others - from football managers to politicians. Dr Danai Dima together with artist Shelley James is presenting at Somerset House an exhibition on visual illusions and schizophrenia. This project is part of the Utopian lab, a contemporary glimpse of the Health Faculties at King’s College London. The crusade to understand, save and compliment the human body and mind is the spirit of Utopia itself, uniting cultures, defining humanity and standing on the shoulders of giants. The exhibition runs from 26th of July to 18th of August 2016, 10am to 6pm - free entry. Leading stress expert, Professor Lennart Levi has retired from the post of Honorary President of the international arm of the International Stress Management Association(ISMA), and Professor Stephen Palmer(City, University of London) has been appointed to take over the role. ISMA has branches in nine countries and promotes stress management, enhanced performance and wellbeing. For the first time, City, University of London and the Psychology Department are participating in the World’s biggest scientific event: Pint of Science festival. For this 2016 edition, Alejandro Galvez-Pol and Albert Barqué-Duran (PhD students in Psychology) have organized three evenings (23rd to 25th of May) in which hot topics in Cognitive Sciences ranging from Perception and Decision-making to Memory will be presented in a fun, engaging and approachable way by bringing them to a pub close to you. Moreover, closing the Pint of Science festival on the 26th, a very special event is taking place: Creative Reactions, “when Art meets Science”. Scientists and artist have been working hand in hand to break the boundaries between both fields, conveying complex scientific concepts into artwork. Also here, and this time from the artistic side, Albert Barqué-Duran and Alejandro Galvez-Pol will be exhibiting their own artwork that has been produced during the process of the project, reflecting on the concept of creativity in artificial intelligence and evolution, respectively. Anke Plagnol and Stian Reimers have been shortlisted for a Vice-Chancellor’s Award in the category of Excellence in Learning and Teaching. The awards have been designed to reward individuals and teams going above and beyond their nominative roles to support the City’s vision and strategy; showing dedication, passion and commitment. Paul Flaxman won the School of Arts and Social Sciences award for teaching at City's Learning Advancement Awards on 9 May. Four of the six nominees for the award - Paul Flaxman, Lauren Knott, Deborah Rafalin and Stian Reimers - were from the Psychology Department. The Learning Enhancement Awards are the opportunity for City students to recognise the staff members who support them and have made a positive difference to their experiences at City, University of London. Professor Stephen Palmer was interviewed on BBC 1 London News on 4th May about what is required to be a London Mayor. He talked about how to remain resilient and enhance wellbeing. Nicola Gale, Senior Lecturer and Professional Standards Lead on City’s Professional Doctorate in Counselling Psychology, has been elected as President of the British Psychological Society for 2017-2018. Nicola will serve the coming year as President Elect of the Society. Amongst her numerous contributions and roles, not only within our programme, but within the BPS, Nicola has previously served as Chair of the BPS Division of Counselling Psychology. Dr Lauren Knott was recently nominated for a WOW Award for her work with the Widening Participation Team. Lauren delivered several highly engaging and interactive Psychology workshops to Primary, Secondary, and Sixth Form pupils in the local area. “The pupils have all thoroughly enjoyed her workshops (as have we!) and it's been great working with a colleague who is so supportive of our activities and willing to go the extra mile. Thank you Lauren!” (Jenny Tait & Sharmin Kamaly, Outreach Officers). This year's QS World University Rankings placed Psychology at City 28th in the UK and in the top 200 worldwide. Last year we were, for the first time (in recent years at least), in the top 200 universities for psychology, ranked 151-200. We’ve done the same again this year. Only 29 in the UK made it into the top 200. Let us warmly welcome Dr Danai Dima, who will be joining the Department as a lecturer on April 1st. Her work is thoroughly interdisciplinary combining knowledge of cognitive and clinical psychology, neuroimaging and genetics. The focus on her work has been on cognition and brain structure, activity and connectivity in healthy individuals and psychosis in combination with genetics. Before joining City, she worked for several years at the Institute of Psychiatry, Psychology and Neuroscience, King's College London. On Thursday March 3rd, Dr. Ruth Sealy will be giving a keynote speech at a conference for the Association of Junior Headteachers – an audience of about 300 headteachers from independent prep schools across the country, at Stratford Upon Avon on “Empowering Women in Education”. Professor Martin Conway has just been invited, and accepted, to give The Sir John Monash Lecture at the University of Monash in Malaysia. Dr Sebastian Gaigg of the Department's Autism Research Group, and collaborators Dr. Jennifer Cook (University of Birmingham), Dr. Eduardo Alonso (City, University of London) and Dr. Elliot Ludvig (University of Warwick), have been awarded £70k from the Baily Thomas Charitable Fund to investigate basic learning and reward processes in Autism Spectrum Disorder (ASD). Irina Basieva and Prof. Emmanuel Pothos succeeded in a 24 month Horizon 2020 Marie Curie Fellowship for Irina, to study “Quantum decision making.” The value of the award is £147,398. Professor James Hampton is a co-applicant in a successful ERC Consolidator grant, led by Nicholas Shea (Philosophy, King's College). The grant is worth 186k Euro to City and will fund a postdoctoral fellow at City, between 2017 and 2018. Hana Villar, PhD student and member of the Cognitive Neuroscience Research Unit and Centre for Psychological Well-being and Neuroscience has been awarded a professional development grant by the American Mindfulness Research Association (further information available on the AMRA website) to support her PhD research into the neural basis of mindfulness therapy under the supervision of Prof Forster and Dr Flaxman. On October 29th, Lord Mervyn Davies launched his Closing Report after leading the government's Women On Boards Review since 2011. Dr. Ruth Sealy has conducted research for the Davies Review throughout this period, including in this report, and was on the panel of experts at the launch. From left to right, the panel consisted of: Caroline Dinenage, MP, Deputy Secretary of State for Women, Equalities & Family Justice; Sacha Sadan, Director of Corporate Governance, Legal & General Investment Management; Baroness Neville Rolfe, Minister for Intellectual Property, BIS; Lord Mervyn Davies CBE; Dr Ruth Sealy, City, University of London; Amanda McKenzie OBE, Aviva. The event was held at KPMG, Canary Wharf. Dr. Ruth Sealy won an award at the Academy of Management Conference, Vancouver, August 2015. Her paper "Questioning quotas: Tensions and ethical dilemmas concerning board gender quotas", co-authored with Siri Terjsen, from Indiana, was part of a symposium entitled "Women on Boards: Reopening governance" and won the Emerald Best International Symposium Award. “The Lesions in the Landscape” exhibition by artist Shona Illingworth is opening on September 17th, in Liverpool. This exhibition explores particular neuropsychological disorders and is the result of a collaboration with City psychologist Professor Martin Conway (and Dr. Catherine Loveday at Westminster). See here for more information. Image: Shona Illingworth, Lesions in the Landscape, digital still, 2015. Dr. Katrin Hohl and Professor Martin A. Conway were awarded £250k over 2 years (2015-17) from the Police Knowledge Fund to investigate beliefs about memory in the police and improve their handling of memory evidence in sexual offence cases. They will be working with the Metropolitan Police London and Sussex Police, Dr. Kerry Lee (Sociology) and Joanna Rich (Psychology). Professor Philip Corr has been elected (by members) as President of the International Society for the Study of Individual Differences (ISSID). Angie Cucchi has won the BPS Counselling Psychology Division Research Prize for her DPsych research on "Differences in mentalising ability in individuals presenting with eating disorders with/without concurrent self-harm: a comparative study". And Ramanjit Chhina won the BPS Counselling Psychology Division poster prize for her work on "An exploration of the experiences of izzat and domestic abuse held by South Asian Women". Both awards were open to qualified psychologists as well as students, so a major achievement for both our students. Angie Cucchi, one of the final year DPsych Counselling Psychology students, won the BPS Division of Counselling Psychology Trainee Prize for her essay entitled: "An Academic, Professional and Personal Journey towards Change using Schema Therapy: from Symptom-focus to Personal Growth". Professor Mark L. Howe has just been elected to serve on APA's Division 7 Fellows Committee commencing January 1, 2016. He is a Fellow of APA himself since 2007 (Divisions 3 [Experimental Psychology] and 7 [Developmental Psychology]) and, as the Past President of APA Division 7 commented, Mark's election to serve on APA's Division 7 (Developmental Psychology) Fellows Committee makes it clear that he is considered with high esteem by the Division members and the members of the Executive Committee. Congratulations to Dr. Beatriz Calvo-Merino, Dr. Ansgar Endress and Prof. Tina Forster on winning the City Research Competition for their proposal "Data Driven Performing Arts" to integrate neuroscience research and dance practice. A paper co-authored by Dr. Jacqui Farrants and a former doctorate student has been selected by the journal’s editorial team as a Highly Commended Paper of 2014: Cobb, S. and Farrants, J (2014) Male prisoners’ constructions of help-seeking, published in Journal of Forensic Practice. Congratulations to Chiara Calissano - a second year psychology undergraduate at City - for securing a Wellcome Trust Biomedical Vacation Scholarship. Chiara will spend the summer working with Dr Paul Flaxman and Dr Corinna Haenschel, investigating the effects of work-related worry and rumination on employees' sleep quality and working memory performance. Drs.Tina Forster and Emmanuel Pothos were promoted to full professors, congratulations! Former Counselling DPsych student, Sam Cobb, who published her DPsych research in the Journal of Forensic Practice, has been given a “Highly Commended Paper” award from the journal. (Dr. Jacqui Farrants was 2nd author as her supervisor). One of our second year psychology BSc undergraduates, Aaliyah Daud, was awarded a summer bursary (£1600 from the EPS) to work in Dr. Kielan Yarrow’s laboratory. Congratulations to Dr. Sophie Lind, who obtained an interdisciplinary ESRC grant (as co-applicant) with David Williams (PI, University of Kent) and Peter Carruthers (a philosopher from University of Maryland, USA), worth £348,000, entitled "Metacognition and mindreading: One system or two?" Maayan Karlinski (2nd year BSc Psychology) has been awarded a Wellcome Trust Biomedical Vacation Scholarship to undertake a research project entitled 'Dissociating the contributions of attentional orienting and selection to bodily avoidance mechanisms in Somatoform dissociation symptoms' under the supervision of Dr. Tina Forster. QS World University Rankings, published their latest rankings by subject a few days ago. For the first time in recent years, for psychology, City made it into the top 200 (ranked in the band 151-200), one of only 29 UK universities to do so! Alejandro Galvez-Pol, PhD student of the Cognitive Neuroscience Research Unit, has won the People's choice award at the Cognitive Neuroscience Society Annual meeting for his poster entitled ' Neural dissociation for visual and sensorimotor working memory storage: evidence for a Mnemonic Homunculus'. Congratulations to Dr Deborah Rafalin who has been awarded the 2015 Student Voice Award for Teaching in SASS in recognition for her excellent teaching at City University. Dr Corinna Haenschel together with Dr Paul Flaxman and Dr Tina Forster received support from the SASS Enterprise Seed Fund for an engagement and outreach event for practitioners and researchers to launch the Centre for Mental Health, Wellbeing and Neuroscience between City, University of London and City and Hackney Mind on Friday 12th June 2015. Dr. Ruth Sealy presented research findings of the 2015 Female FTSE Report to government ministers and a packed audience at Barclays HQ, Canary Wharf. The Report tracks the progress of women on boards and in senior leadership in line with the business-led initiative to hit a target of 25% women on boards in FTSE 100 companies by the end of this year. It was accompanied by coverage with quotes from Ruth in the Financial Times, The Times and City AM. Dr. Ruth Sealy delivered a keynote address at Belfast City Council, City Hall Belfast, entitled "Women in the Economy: What's all the fuss about?" for the annual International Women's Day event. Congratulations to Dr. Jessica Jones Nielsen for her promotion to Senior Lecturer! Dr Sebastian Gaigg and Dr Katie Maras (University of Bath) have been awarded a British Academy/Leverhulme small research grant of £9,200 to investigate the effects of working memory load on effective information filtering in autism spectrum disorder. Dr. Sebastian Gaigg has been appointed Editor-in-chief of the Elsevier journal 'Research in Autism Spectrum Disorder' (RASD), which currently has an impact factor of 2.38. The PhD students from the Psychology Department, Alejandro Galvez-Pol and Albert Barque-Duran, have been awarded by the Federation of European Neuroscience Societies (FENS) to curate their project: "Heroes of Neurons", which will be run during the Brain Awareness Week 2015 (March 16-22). 'HofN' will bring to you the most intimate popular science in a series of events about the brain and the human mind. Professor James Hampton has recently been appointed as an Action Editor for Cognitive Science. Research conducted by Dr Jennifer Cook has been published in Current Biology. Challenging the lay view of dominance - wherein dominant people are assumed to ignore others' views - Cook and her colleagues show that socially dominant people explicitly value independence but, paradoxically, in a complex decision task, show an enhanced reliance on social learning. In contrast aggressively dominant individuals do not rely on social learning. Cook, J. den Ouden, H., Heyes, C. & Cools, R. (2014). The social dominance paradox. Current Biology. Research led by Dr Ruth Sealy, measuring compliance in listed companies' adherence to new guidelines on diversity reporting in annual reports, was launched by Nicky Morgan and Jo Swinson MPs. The report also gives the latest updates of women on boards figures in relation to the government targets for 2015. Professor Mark Howe recently became a Fellow of the Royal Society for Arts. Amnesia Lab is research-in-progress for Lesions in the Landscape: Claire and the Island of Hirta - A Wellcome funded large scale Art/Science project awarded to Shona Illingworth and Professor Martin Conway. Shona and Martin will present the Amnesia Lab exhibition. The overall project is directed by Professor Jill Bennett, UNSW. Quo Vadis: The Last Drawing Show. Dr Ruth Sealy was Guest of Honour at the Finnish Ministry of Social Affairs' European Commission event (June, 2014) to discuss policy plans for women on boards. Ruth has been closely involved with the UK's changing policies and practices, her research advising BIS and GEO departments here and at previous EU Commission meetings. The audience included approximately 200-strong of politicians, policy-makers and senior Finnish business people. Congratulations to Dr Richard Cook, who has been awarded the British Academy's 2014 Wiley Prize in Psychology in recognition of his outstanding early-career work. There have been a number of successes for the Counselling Psychology students at the BPS Divisional Conference (July, 2014). Lucy Longhurst and She Hyan Rho were runner-ups in the research poster competition, with Anna Kaufman taking first prize. Professor Philip Corr gave a Keynote Address titled 'From DNA (to personality) to Social Minds: The Monkey Puzzle' at the conference 'From DNA to Social Minds', York University (30th June, 2014). Professor Philip Corr was a Keynote speaker at the University of York conference, 'From DNA to Social Minds', (30th June, 2014); title of talk 'From DNA (to Personality) to Social Behaviour: The Monkey Puzzle'. Congratulations to Lucy Longhurst, a postgraduate student on the DPsych in Counselling Psychology, who has recently been awarded the BPS Counselling Division Trainee Prize, for her work "A Life Worth Living", a client study in which she adopts a combined approach to working with a suicidal client who had "lost his reason for living". The Leverhulme Trust have awarded City University London a three-year Research Project Grant (~£216,000) for a project led by Kielan Yarrow (Department of Psychology), with co-investigators Tina Forster (City) and Sven Bestmann (UCL). The project is entitled "Novel neurometric measures to discriminate models of speeded decision making" and will make use of TMS, EEG and computational modelling. Dr. Paul Flaxman has been invited to deliver the keynote address to conclude the BPS Division of Counselling Psychology's Annual conference in July 2014. Paul will outline his research into employee perfectionism and workplace applications of mindfulness-based interventions. Congratulations to our top performing students! Congratulations to Jennifer Murphy - a second year psychology undergraduate at City - for securing a Wellcome Trust Biomedical Vacation Scholarship. Jennifer will spend the summer working with Dr Richard Cook, investigating the perceptual processes recruited by words and faces. We are delighted to congratulate Lara Zibarras, Lauren Knott, Richard Cook and Beatriz Calvo-Merino, who have all been promoted to senior lecturers! In their article, recently published in Brain and Behavioural Sciences, Dr Richard Cook and colleagues call for a new approach to the study of mirror neurons. Cook, R., Bird, G., Catmur, C., Press, C., & Heyes, C. (2014). Mirror neurons: From origin to function. Brain and Behavioral Sciences, 37(2), 177-192. Dr Lauren Knott together with Professor Mark Howe have been awarded an ESRC Research Grant for £350,000. The grant will run for 3 years and aims to investigate factors that mediate the degree to which people form false memories associated with negative emotion and the importance this has on our understanding of the development of false memories in a forensic context. Albert Barque-Duran was awarded the 2nd prize (£750) for 'Best Presentation' at the Research Symposium 2014, at City University London. His talk was titled 'Moral Dynamics in Everyday Life: How morality evolves in time?'. This annual event is open to all research students at the University. Professor Stephen Palmer on the 4th March, became Honorary President of the International Stress Management Association (UK), a national charity. He was also awarded an Honorary Fellowship of the Society for his contribution to the field of stress management and ISMA. Dr Beatriz Calvo-Merino and Dr Tina Forster have recently published their work on independent contribution of somatosensory cortex during emotional processing in the Journal of Neuroscience. Sel, A., Forster, B., & Calvo-Merino, B. (2014). The emotional homunculus: ERP evidence for independent somatosensory responses during facial emotional processing. Journal of Neuroscience, 34(9), 3263-3267. Professor James Hampton will be a keynote speaker at the forthcoming Congress of the Italian Association of Cognitive Science in Enna, Sicily, 22-24 April 2014. He will address the tension between philosophy linguistics and psychology in their understanding of concepts. Dr Jennifer Cook has been awarded the EPS Frith Prize 2014 for her PhD research on action observation and imitation in autism. Dr Cook will give the 3rd Frith Prize lecture at the Experimental Psychology Society summer meeting in Newcastle. Professor Martin Conway, Head of the Psychology Department, recently became a Fellow of the Royal College of Arts. Dr Kielan Yarrow has been successful in an Australian Research Council Discovery Project grant application. Dr Yarrow is partner investigator (along with chief investigator Derek Arnold from the University of Queensland) on this AU$163,000 award, entitled "Distorted time perceptions: Altered neural coding or decisional criteria?" Dr Lauren Knott was recently elected as committee member for the BPS Cognitive Section. This is a subsection of the BPS Society and provides a national forum for discussion of research and matters of concern to cognitive psychologists. 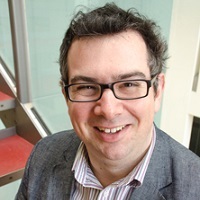 Professor James Hampton has been appointed to the Editorial Board of Cognitive Science from 2014. Cognitive Neuroscience Research Unit, PhD student Ramiro M. Joly-Mascheroni featured in episode 3 of the BBC series The Wonder of Dogs. The programme explored the close bond between human and dogs. Ramiro recreated part of his study on dogs catching human yawns. 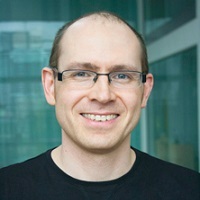 Professor Mark Howe had recently accepted for publication in Nature Reviews Neuroscience his work on "The developmental neuroscience of memory and memory development". This work concerns how the science of memory development can inform our courts about what adults can remember about childhood experiences and what to expect when the only evidence is adult recollections of childhood memories. The Department is delighted to welcome Professor Philip Corr, Professor of Psychology (Behavioural Economics). Prior to joining City University London in 2013, Professor Corr held Professorial positions at the University of East Anglia (2009-2013; where he was Head of Psychology) and Swansea University (2004-2009; where he served as Head of Department). Professor Corr received his PhD from the Institute of Psychiatry (King's College London), in 1994, on the topic of biological models of personality, where he also undertook post-doctoral research on cognitive mechanisms in schizophrenia. Professor Corr was recently honoured to be elected to the positions of President-Elect (2013-2015) and President (2015-2017) of the International Society for the Study of Individual Differences (ISSID). He is also a fellow of the RSA. Dr. Corinna Haenschel together with Prof Stefan Priebe (Head of Unit for Social and Community Psychiatry, Queen Mary University London) has been awarded the John Grace QC PhD Scholarship 2014 funded by the Schizophrenia Research Fund and Mental Health Research UK. £120k is available for up to four years. Professor James Hampton gave a keynote address to the Workshop entitled "Concept Composition and Experimental Semantics/Pragmatics" at Utrecht University Institute of Linguistics on September 2nd. The title of his talk was "Composition and Prototype Concepts". City's BSc Hons Psychology course (C800) ranked first with an overall student satisfaction rate of 99% in the 2013 National Student Survey (NSS). Professor Jill Boucher was recently elected as a Fellow of the Royal Society of Arts (FRSA) for her "considerable contributions to the academic study of neurodevelopmental disorders, and for broadening our understanding of how these disorders are perceived by wider society". Dr Rich Cook has been awarded an ESRC Future Research Leaders grant of £246,233. The project is called "Motor contributions to the perception of facial expressions" and will run for two years, starting 1 October 2013. Welcome to our new Lecturer, Dr Anke Plagnol. Dr Plagnol joins us from the University of Cambridge where she had an Early Career Fellowship from the Leverhulme Trust and the Isaac Newton Trust, Cambridge. Dr Plagnol's research focuses on subjective well-being, female labour force participation and life course studies, drawing on theories and methods from psychology, economics and sociology. Professor Peter Ayton was invited to give a keynote address at the annual Human Kinetics Lecture of the North American Society of the Psychology of Sport and Physical Activity (NASPSPA) meeting in New Orleans on 13 June. His talk was titled "How Judgment & Decision Research can Influence Sport (and vice-versa)". 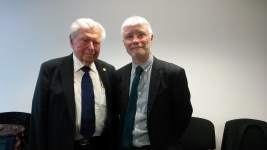 Head of Department Professor Martin Conway featured in a BBC One screening of "If memory serves me right" on 18 April. The TV programme follows actress Maureen Lipman as she explores the nature of memory and how we can improve it and features a significant contribution from Professor Conway. The show is available on BBC iPlayer for a limited period. Welcome to Dr Sophie Lind, a new lecturer joining the Autism Research Group. Her research focuses on cognitive processes in children and adults with (and without) autism spectrum disorder (ASD). Along with co-investigator, Professor Dermot Bowler, she is currently conducting an ESRC-funded research project to explore the cognitive underpinnings of episodic memory, episodic future thinking, and spatial navigation impairments in ASD. The Department is pleased to welcome new Lecturer, Dr Lauren Knott. Dr Knott has published several papers on the production and development of false memories alongside Professor Mark Howe (City, University of London) and Dr Steve Dewhurst (University of Hull). Her recent interests have focused on the role of emotion in memory, and how negative affect and negative valence can influence the production of false memories. Welcome to Dr Jen Cook, a University Research Fellow. Dr Cook completed her PhD in Neuroscience at UCL and then worked at Cambridge University. Her research interests include social perception and imitation in Autism Spectrum Conditions, as well as methods to improve learning in schizophrenia. The Department welcomes Dr Jessica Jones Nielsen, who has been appointed Lecturer. Dr Jones Nielsen joins us from Imperial College London and is a trained counselling psychologist. Her work focuses on examining the influence of the patient-physician relationship on treatment adherence and health outcomes of patients with chronic health conditions. 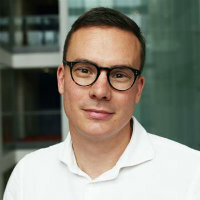 Dr Kielan Yarrow has received a grant from the BBSRC to study "New methodologies to explain and improve the expert anticipatory advantage in sports decision making". The grant is for three years and is worth £495,000. Dr Emmanuel Pothos has received a research grant from the European research office of the US airforce (EOARD/AFOSR). The topic of the project is "The constructive role of decisions: implications from a quantum approach". It is a three-year research project with a value of £144,023. Dr Emmanuel Pothos was successful in a Leverhulme Trust grant application, with co-applicants from City University London (James Hampton), Indiana University (Jerome Busemeyer), and UC Irvine (Jennifer Trueblood), to study "quantum similarity: harnessing the flexibility of human similarity judgments". The value of the grant is £98,962. Professor Jo Silvester is part of a successful (£1.1 million) bid to investigate 'Volunteering in Mental Health Care for People with Psychosis' (VOLUME). This four-year collaborative project will develop the evidence base necessary to facilitate and strengthen volunteering schemes in mental health trusts across England. Professor Silvester's role will be to bring organisational psychology research expertise to understanding how volunteers can be recruited, managed and supported in these roles. Professor Jo Silvester will deliver a keynote speech on 'The search for good political leadership: What can psychology offer?' at the BPS Division of Occupational Psychology Conference in Northern Ireland (27 April) followed by a workshop around the topic of leadership competencies for political roles. Dr Lara Zibarras is co-editor (with Dr Rachel Lewis) of a new textbook for Occupational Psychology (Work & Occupational Psychology: Integrating theory and practice), published this month. Chapter authors include leading academics in the field, with contributions from eminent practitioners. As editors, Dr Zibarras and Dr Lewis were featured as 'authors of the month' by SAGE Publications. Two of our 2012 MSc Organisational Psychology graduates won both first and second prizes for their research at the recent British Psychological Society Division of Occupational Psychology student awards (for research excellence). Lisa Traumer won first prize for her implementation and evaluation of an employee leisure time recovery intervention, and Alison Macfarland won second prize for her research into the psychological contract among voluntary employees. First prize was £1000 and free entry, plus all expenses paid for the next annual conference. Second prize was £750 plus paid-for conference attendance. Congratulations to both. Professor Dermot Bowler has been given a 4-year MRC CASE (Collaborative Award for Science and Engineering) award in conjunction with the National Autistic Society for a study entitled "Effects of cognitive training on memory, cognition and quality of life in older and younger adults with autism spectrum disorder". The value of the award is approximately £85,000. Congratulations to Drs Elliot Freeman, Sebastian Gaigg, Corinna Haenschel and Stian Reimers, who have all been promoted to Senior Lecturers. This is a well-deserved recognition of their varied and impressive contribution to the Department of Psychology here at City. The Department is delighted to welcome Professor Mark L. Howe, Chair in Cognitive Science. Prior to joining City, Professor Howe was University Chair in Developmental Psychology and Co-director of the Centre for Research in Human Development at Lancaster University. He has more than 150 publications, is an Editor of the journal Memory, and an Associate Editor of the journal Developmental Review. He is a Fellow of the American Psychological Association, the Association for Psychological Science, and the British Psychological Society. He brings with him to City an ESRC grant as well as several doctoral (Cassandra Bland, Sarah R. Garner, and Maria V. Hellenthal) and postdoctoral (Dr Emma Threadgold) researchers. Professor James Hampton has been appointed to the Board of Action Editors for the Quarterly Journal of Experimental Psychology. Professor Dermot Bowler has been appointed to a two-year 'Chaire d'Excellence'- a distinguished visiting professorship - held jointly at the Université de Caen-Basse Normandie and the INSERM, the French equivalent of the Medical Research Council. Dr Corinna Haenschel received a two-year $60,000 NARSAD Young Investigator Grant to examine working memory deficits in schizophrenia using electroencephalography (EEG). This highly competitive US award scheme funds "the most promising young scientists conducting neurobiological research". Dr Emmanuel Pothos received a Research Staff Prize from City University London for his work on modelling decision making with quantum theory. The prize scheme seeks to recognise and reward exceptional research-related achievement and carries a £1000 research-support bursary. Dr Paul Flaxman has recently begun a 'training the trainer' programme for occupational health practitioners working in the NHS and mental health organisations. This work is supported by a £23,000 grant from the ESRC, which directly follows on from Dr Flaxman's earlier intervention research that was supported by an £80,000 ESRC grant (2008-2010), and a £100,000 grant awarded to Dr Flaxman and his NHS collaborators by an NHS-linked charitable trust (2011-2013). The aim of this work is to provide mindfulness-based interventions to improve employees' psychological health. Professor James Hampton was elected an Academician of the Academy of Social Sciences, in recognition of his research on the psychology of concepts and categorisation. This follows his election in 2011 as a Fellow of the British Psychological Society. Two new Senior Lecturers joined the Department, Dr Katy Tapper and Dr Emmanuel Pothos. Dr Tapper is best known for her work on health psychology and has been involved in several large-scale projects, such as the Food Dude Healthy Eating Programme, school fruit tuck shops, and the Welsh Assembly Government Free School Breakfast Scheme. Dr Pothos has published in several areas of cognitive psychology, such as categorisation, learning, and decision making. More recently, he has been working on an exciting research programme exploring the potential of quantum probability theory for understanding cognitive process. The Department is delighted to welcome Professor Martin Conway, the new Head of Psychology. Prior to joining City, Professor Conway has had a distinguished career as head of department at Bristol, Durham, and Leeds. Amongst his many academic achievements, he has more than 200 publications, is the founding editor of the Memory journal, and was the recipient of a prestigious professorial fellowship between 2004 and 2007. The Department welcomes Dr Richard Cook, who has been appointed Lecturer. Dr Cook joins us from University College London, where he recently completed his PhD. Dr Cook's work focuses on imitation and the perception of social stimuli, including faces, facial expressions, bodies and actions.